Deonna’s son Christian is 16 and a percussionist in his high school band. Chris is very intelligent and has a strong interest in studying the engineering of how to design software programs for video games. Deonna works three different jobs to support her family. Her primary job is working the night shift as a corrections officer with the juvenile justice center. After her night shift is over, she works as a school crossing guard with Knox County Schools. She also works part time at Chik-fil-A, where she has met “so many beautiful people.” Her love for people and children makes her successful in all her roles. Deonna and her family have been trying to make ends meet in a cramped two-bedroom apartment. Her apartment complex offers three and four bedrooms, but the rent of the two-bedroom option is the most she can afford. A friend and colleague from the law enforcement encouraged her to look at Knoxville Habitat for Humanity. She was “so blessed” to be accepted into the program and change the future of her family. She will no longer have to pay a monthly rent she can hardly afford … she will now purchase the home she builds at cost, with an affordable, no-interest mortgage. 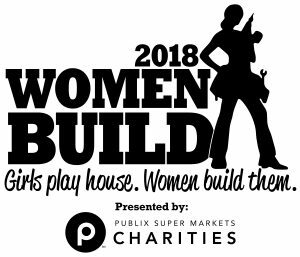 For more information on the 2018 Women Build, visit knoxvillewomenbuild.com.